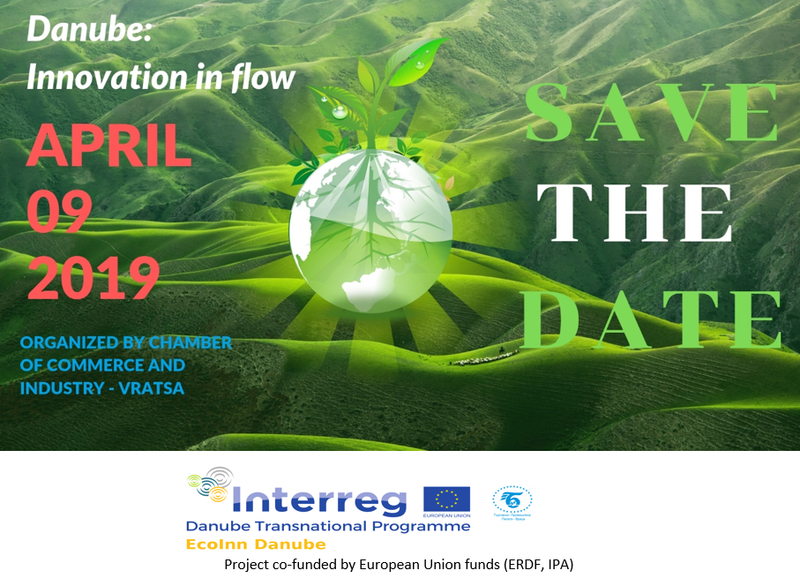 Chamber of Commerce and Industry – Vratsa organize “Danube: Innovation in flow” – project EcoInn Danube, final dissemination event of the INTERREG Danube Transnational Programme. Join the event and get the unique opportunity to meet at one place eco-innovators from the country and abroad interested in eco-innovation topic and circular economy. See and become part of the Virtual lab - web based platform for matchmaking of eco-innovators from the Danube region – V lab. Take the opportunity to get known with the Circular economy in the panel – “Waste used as a source”. Exchange best practices and share experience with representatives from other projects in the “Innovative and socially responsible Danube region” priority axis of the INTERREG Danube Transnational Programme. The event will took place in Bulgaria, Sofia, 9, Iskar street, Conference hall of BCCI.